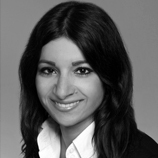 Azadeh Sharifi is an independent researcher and author. Her research focuses on post-migrant theatre in Europe, identity politics, theatre and racism and postcolonial studies. She is now starting a new project on artists of color in Europe and their aesthetic work. She recently finished her project "Theatre and Migration. The impact of migration on the European Theatre" for the Balzan Prize Project “The Role of Independent Theatre in Contemporary European Theatre: Aesthetic and Structural Changes,” organized by the German Centre of the International Theatre Institute, Berlin. She received her Ph.D. in Cultural Studies and Cultural Policy at the University of Hildesheim. Her dissertation thesis “Theater für Alle? Partizipation von Postmigranten am Beispiel der Bühnen der Stadt Köln” was published in 2011.